According to a World Health Organisation report ¹ around half of all patients with a chronic disease, do not follow the treatment prescribed by their doctor. It’s a big statistic and one that is of concern to all health professionals. While most patients will commit to a short course developed in consultation with their doctor, getting patients to stick to a long-term medication plan is often much harder. This is made all the more challenging when the medication they’ve been using for years becomes unavailable or its production is discontinued by the manufacturer. Last year alone, over 200 medications were listed on the TGA’s list of unavailable medications in Australia. It’s a surprisingly high number. 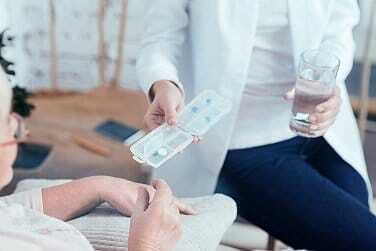 1) Some patients, especially elderly patients, can be very adverse to change and reluctant to try a new medication. 2) New or other medications may not be as effective in addressing the unique needs of individual patients. 3) Some patients may have been through a lengthy and difficult process of ‘trial-and-error’ to find a medication that works for them. The prospect of beginning that process again is a daunting one. Physicians faced with these situations may find the answer in a compounding chemist. Following a script provided by the physician, a compounding chemist can make up an identical version of the unavailable medication, allowing the patient to continue with their treatment plan uninterrupted. At National Custom Compounding we understand the many medications are taken one, twice or even thrice daily, and so we offer a 24 hour turnaround services to minimise disruption to the patient’s routine. For a list of medicines currently unavailable in Australia or for more information on our compounding service visit https://www.customcompounding.com.au.